Some people shop all year long for Christmas. Others wait until December 24th. Wherever you fit in that spectrum, you still want to score a deal. Americans spend $830 billion on Christmas, according to a 2013 statistic. 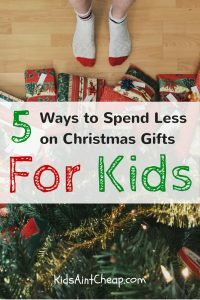 If you’re looking for cheap Christmas gifts for kids, then here are five tips that will help. If you’re a fan of Amazon, especially around the holidays, then check out SnagShout.com. It offers hundreds of deeply discounted products you can purchase in exchange for a review. Browse their merchandise to see if there is something you’d like to purchase. Often these products are marked 60% to 90% off. Some products are even free. You’ll be given a specific SnagShout code to enter at check out. These are Amazon products, so you’ll be automatically transferred to Amazon to complete your purchase. Once you’ve received and tried out the product, you must leave a review on Amazon to complete your agreement with SnagShout. After that, you’re permitted to shop for your next SnagShout product. Giving SnagShout products as gifts is tricky since you do need to leave a review. I’m certainly not suggesting you lie because that’s unethical and could get you banned from SnagShout. The best solution is to purchase the item for your child, let him play with it, then ask what he thinks. You could also purchase an item of which you’re already familiar and leave a review based on what you already know. Fall and spring are great times of the year for garage sales. Every changing season brings a deep discount (i.e. end of summer, back to school, end of winter, etc.). If there are huge discounts on summer clothes during the fall, then you could score some big savings on next year’s summer wardrobe and give them as Christmas presents. You could earn points the next time you shop online at Toys R Us, Target, Old Navy, or the Disney Store. Cash in your points for free gift cards for Amazon, PayPal, Walmart, Target, Visa and more. Click here to sign up for your free Swagbucks account. 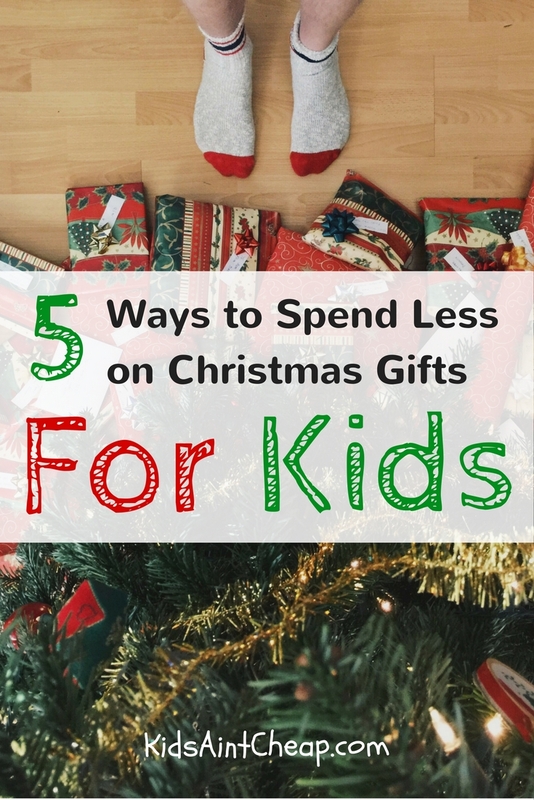 Cheap Christmas gifts for kids come in every shape in size. One of my favorite things about Pinterest is that there are so many options for making awesome gifts for your awesome kids. Not everything is cheaper to make at home than it is in the store. However, I encourage you to at least consider this route, especially if time is on your side. I made a no-sew blanket for each of my babies, and could easily work on it while I watched a movie. Fabric stores often have coupons for supplies, so I saved money and gave my kids something homemade they’ll have for a long time from their not-that-crafty mom. One of the coolest gifts you can give your kids is the gift of experiences. Groupon is a great resource for discounted events and adventures. Search “Groupon + Your City” to find some kid-friendly events happening near you. Do you start Christmas shopping before or after Thanksgiving? Tell us in the comments below?